i Click 'view all' to instantly compare this ok deal with offers on other top skullcandy headphones. 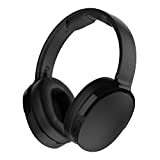 Skullcandy Hesh 2 Wireless Over-Ear Headphones with Mic, Black-Silver is currently selling at $49.98, which is its normal price. It has a lowest price of $49.95 and is selling within its usual range. Price volatility is 1.49% (meaning it does not change often), so you might have to wait a while for the price to drop. Until then this is a recommended 'ok deal'. 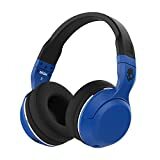 Compare the current price, savings (in dollars & percent) and Buy Ratings for the top Skullcandy Headphones that are closely related to Skullcandy Hesh 2 Wireless Over-Ear Headphones with Mic, Black-Silver. 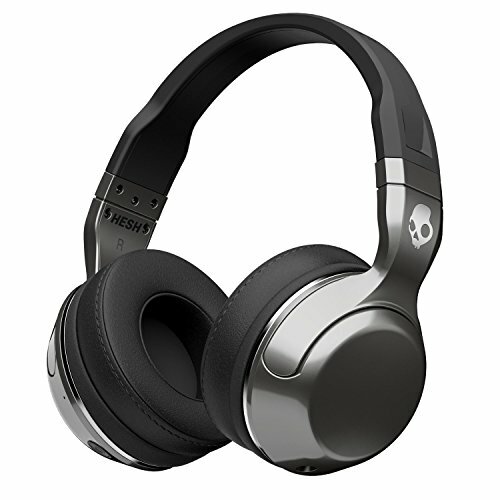 Here is how Skullcandy Hesh 2 Wireless Over-Ear Headphones with Mic, Black-Silver compares with other leading Skullcandy Headphones. Hesh 2 Wireless is the Bluetooth version of our iconic headphone with a new sleek profile and plush, synthetic leather ear pads. With on-board controls and a rechargeable battery, Hesh 2 Wireless lets you move freely with your playlist. Battery Status and Charging: Behind the left ear cup is a micro USB port for charging. An LED indicator will blink red when the battery is at 10%. FeaturesSUPREME SOUND: Hesh 2 Wireless features Supreme Sound technology, producing attacking, powerful bass, warm, natural vocals and precision highs.ALL-DAY COMFORT, EVERYDAY STRENGTH: Soft synthetic leather ear cushions provide endless comfrot for your longest playlists. The flexible headband features a metal understructure that can withstand the punishment of everyday use.LONG BATTERY LIFE: The rechargeable battery provides up to 15 hours of music when fully charged. Behind the left ear cup is a micro USB port for charging. An LED indicator will blink red when the battery is at 10%.WIRELESS PAIRING AND CONTROL: Stream your music from any Bluetooth enabled devise. On-board plus and minus buttongs let you adjust volume and choose songs. Answer and place calls on hold with the round power button.